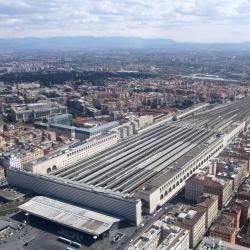 Looking for hotels near Ottaviano Metro Station? Featuring elegant décor with a blend of old and new, Vatica B&B Roma is located in Rome. The bed and breakfast is 1148 feet from Ottaviano Metro Station and less than 0.6 mi from St. Peter's Square. Providing a shared lounge, Da Augusto is located in the Vaticano Prati district of Rome, 1.2 miles from St Peter's Square and 1.4 miles from Castel Sant'Angelo. Complimentary WiFi is provided. Hop On Top in Rome offers accommodations with free WiFi, 1.4 mi from St Peter's Square, 1.7 mi from Castel Sant'Angelo and 1.7 mi from The Vatican. This family-run Roman Suite Guest House is set in the Vatican City - Prati district in Rome, 1148 feet from the Vatican Museums. It offers free high-speed WiFi. 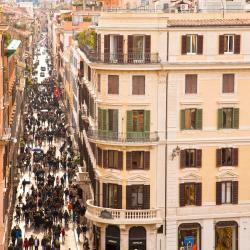 Featuring free Wi-Fi, Vatican Charme is located in Rome. 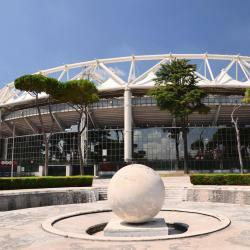 It is 2625 feet from Saint Peter's Square and 1.9 mi from the Coliseum and Circus Maximus. 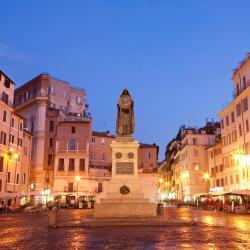 Located 1640 feet from the Vatican Museums, Appartamento 5 - Via Otranto offers accommodations in Rome. The air-conditioned unit is 820 feet from Ottaviano Metro Station. Eccelso Hotel is located in Rome, 1.2 miles from St Peter's Square and 1.4 miles from Castel Sant'Angelo. Featuring a shared lounge, the 3-star hotel has air-conditioned rooms with free WiFi. Location, cleanliness and newness. Centrally located in Rome, Cola di Rienzo Luxury Penthouse is set on one of Rome's main shopping streets, 2133 feet from Ottaviano Metro Station. It offers elegant accommodations featuring free WiFi. The property was in the best and convenient location. Located 2297 feet from Castel Sant'Angelo, Hotel dei Quiriti Suite features modern-style rooms with air conditioning in Rome. We were so lucky to get the room with a queen-size jacuzzi! Featuring a spa area, Hotel Vespasiano is located in Rome, just 984 feet from the Vatican Museums. It offers elegant modern rooms and free WiFi throughout. 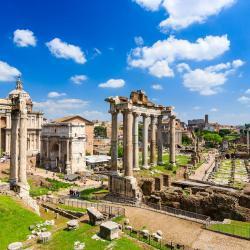 Absolutely fabulous in all aspects, do not look any further for a wonderful stay in Rome!!! On the third floor of a building with an elevator, this family-run hotel in Rome is only a 5 minute walk from Ottaviano Metro Station. It features air-conditioned rooms with free Wi-Fi. I liked everything! The stuff was very helpful and nice. Located in the center of Rome, just 656 feet from the Vatican City, Hotel Silla is a family-run hotel. All rooms are en suite, and WiFi is free. Excellent location to get to Vatican and Metro. The Hotel Atlante Garden is set on the banks of the Tiber River, close to Castel Sant’Angelo and the picturesque Piazza Navona. Our second time in this hotel. Nice and cozy, very friendly. Beautiful bathroom.Excellent location. Just 820 feet from Ottaviano Metro Station, this guest house dates back to the 1900s. It offers a wellness center, free WiFi throughout and elegant air-conditioned . The place was as expected on booking and we loved the decoration in our room Leonardo Da Vinci. Hotels with great access to Ottaviano Metro Station! A few steps from the Vatican Museums and Ottaviano-San Pietro Metro Station, Dependance Hotel Dei Consoli is in the lively Prati Quarter in Rome. It offers air-conditioned rooms with free Wi-Fi. The rooms are good and the location is great. Set in Rome's exclusive Prati area, the Orange Hotel offers a rooftop terrace with hot tub and views of St. Peter's Dome. Staff was great. Restaurant was really nice. Decor was fun. Located on a shopping street 5 minutes walk from Castel Sant'Angelo and the Vatican, Hotel Florida provides comfortable, great-value rooms. Free WiFi is available in the hotel's public areas. Very clean hotel and friendly staff! 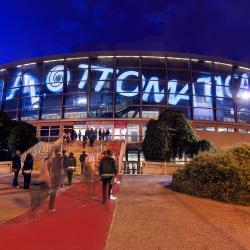 People are talking about Ottaviano Metro Station! Explore guest hotel reviews featuring "Ottaviano Metro Station"
Very good location, close to the Ottaviano metro station and in the good Prati neighborhood, with a lot of restaurants, bars, and attractions. Very good connections to public services.